Rich pear, tropical pineapple and honeysuckle on the nose lead to tart red apple and pear with exceptional acidity and a luscious butterscotch finish. The best of both worlds, this wine is barrel-fermented and aged in neutral French oak, to highlight the fruit and add complexity. 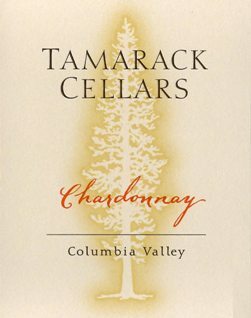 Founded in 1998 by Ron and Jamie Coleman, Tamarack Cellars is dedicated to the production of small lot, hand-crafted wines from select vineyards in the Walla Walla Valley, Yakima Valley, Red Mountain and Columbia Valley appellations.